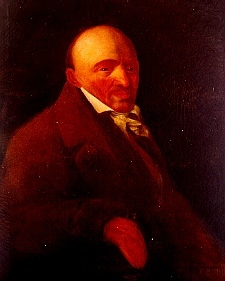 Jean Etienne de Boré was born in 1741 in what is now Illinois. He was educated in France and served as a musketeer in the King’s Guard. He married a woman from Louisiana, and acquired a plantation at what is now Audubon Park in New Orleans. He planted indigo and was successful for some time. But weather and competition from Central America caused de Boré’s fortunes and those of the surrounding plantations to change, making indigo an unprofitable crop. After his indigo plantation failed, de Boré planted sugar cane and built a sugar mill, obtaining plants from Antonio Mendez. He received technical assistance from Antoine Morin, from Saint Domingue, who had also assisted Mendez. His plantation is credited with producing the first commercially granulated sugar in the colony in 1795. In 1796 his crop brought in $12,000, which spurred on the new industry of commercial sugar growing in the area. De Boré was a much decorated and well-known figure during the French and Spanish rule. After the Louisiana Purchase, he became a supporter of statehood for Louisiana. He lived until 1820, having served as the first mayor of New Orleans in 1803-1804.